King Tut and his wife Ankhes-Tut are an exciting example for the good couple. They appeared to have a very special relationship. Many drawings from those found in the king Tut treasure gather them in different occasions. 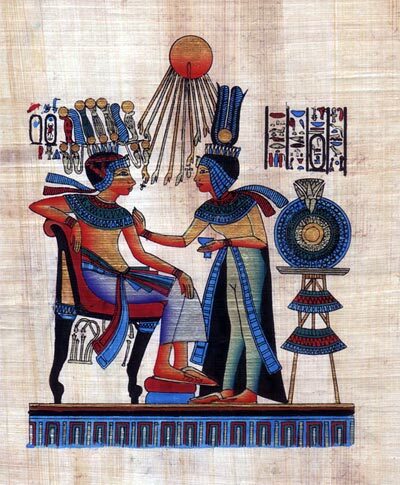 In this papyrus drawing, the king and the queen are together in the golden room, with king Tut sitting in his royal throne and his wife standing infront of him putting her hand on his shoulders as a sign of love and support.